A man was using this expensive rare painting worth $1.5m for hanging letters, post cards and stuff over his kitchen sink. The painting is described as “Arab in Black” by Irma Stern, one of South Africa’s most important artists. 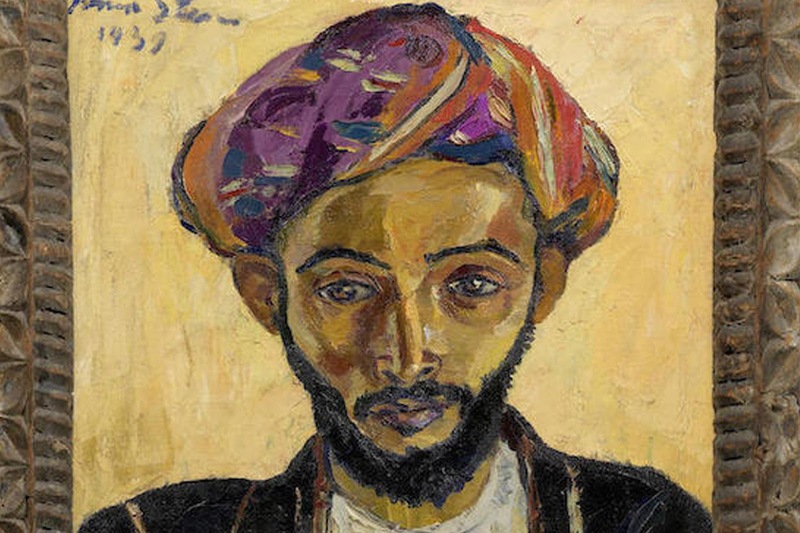 It was fortunately discovered in the owners kitchen by Hannah O’Leary, Bonhams auction house’s head of South African Art, who walked into a London apartment to appraise a client’s art collection. The owner of the painting was astonished at his fortune when he learnt the painting was rare and expensive. The painting is set to be auctioned off in London in September where it is expected to fetch between $1-1.5 million. This isn’t the first time the painting has been put up for auction. In the early 1960s, Stern sold the painting to an art collector at an auction to help fund Nelson Mandela’s legal defense. At the time, Mandela and other anti-apartheid activists were on trial for treason, a crime that carried the death penalty. In 1961, Mandela and the other defendants were found not guilty of the charges, but just three years later Mandela was convicted on similar charges and sentenced to life in prison.The art collector later moved to Britain and eventually bequeathed the painting to its current owner, who hung it in their London apartment and used it as a notice board.